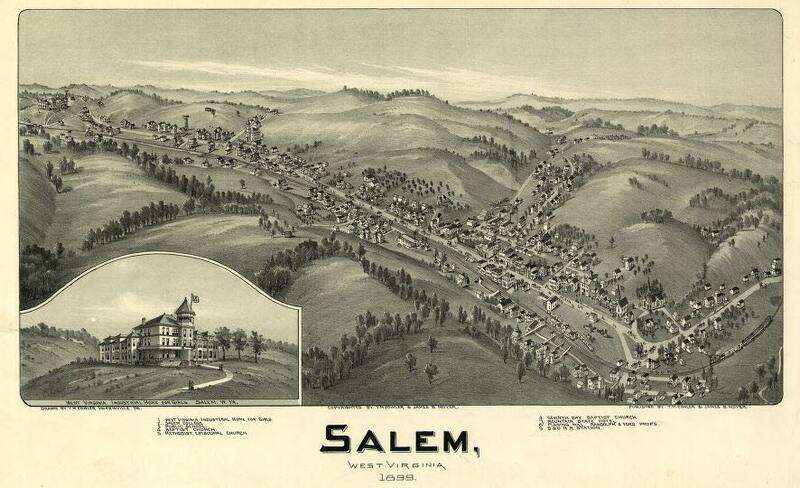 Bird's Eye View Map of Salem West Virginia from 1899. Wonderful map! The map is 23" x 14" (original size). This is a reproduction map.